Tomorrow, October 1st is Vegetarian Awareness Day and it continues all month. Are you ready, or scared? 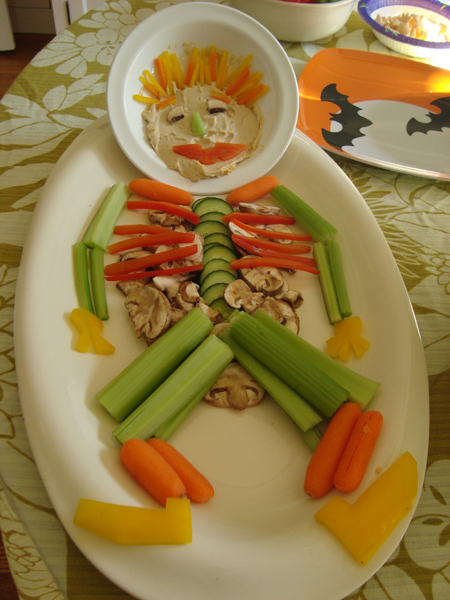 Let us help you with scared…Scare up some Vegetarian Halloween Food. Perk up and celebrate National Coffee Day 2017! Why not enjoy a cuppa Jo with the girls? 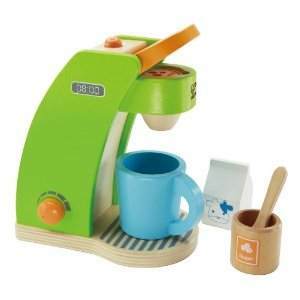 If it’s espresso for your daily dose, this fashion forward single shot pretend espresso machine offers an early start. Americano: Espresso diluted with hot water to roughly the consistency of drip coffee. Similar to drip, but with more complexity, and the benefits of the espresso’s crema. Cappuccino: 1/3 Espresso (2oz.) 1/3 Milk (2oz.) 1/3 soft microfoam (2oz.) This drink is always free-poured, and never spooned. If your coffee house spoons their foam, find a new shop. Sometimes topped with Cinnamon or Chocolate powder, but left alone for the purists. Cappa: (or Cappu) Short for “cappuccino”. Espresso: A ~1oz (single) or ~2oz (double) beverage created by a high pressure extraction at ~9bar pressure from ~8 (single) or ~15 grams (double) of fine, evenly ground coffee, evenly distributed and compacted into what is known as a puck. The Espresso has three major parts to its anatomy. The Crema, the Body, and the Heart. If your coffee house’s espresso lacks Crema, it’s time to find a new shop. Flat White: Usually ~6oz. In all. Similar to a cappuccino, but with latte proportions of foam. Iced Coffee: Just like it sounds. Coffee, cold, and on the rocks. Latte: A little bit of espresso and a lot of milk, with a thin cap of foam. Generally anything 10oz. And up. Flavorings may be added to form flavored lattes. (i.e.- vanilla latte, hazelnut latte, etc..). Milk may be substituted with Soy milk for a Soy Latte. A latte made with nonfat (or skim) milk is often known as a Skinny Latte. Latte Macchiato: A latte made by pouring the espresso in last, on top of the milk and foam. Macchiato: Macchiato is an Italian word meaning “to mark” or “to stain”. A Macchiato is a single or double shot of espresso, marked with a bit of foam or frothed milk, usually with close to equal portions espresso and foam or frothed milk. Mocha: Named for the drink made popular by Portuguese traders at the port of Mocha, it’s a drink made with chocolate, espresso, steamed (sometimes frothed) milk, and topped with whipped cream. So, what is a Grande in a Venti cup soy upside down caramel macchianto with five shots of extra caramel? Ooops add whip to that and a double sleeve please. For a full pot of Java if that’s what you prefer, this pastel pretend coffee maker will compliment the trendiest pretend kitchens. No bones about it, might as well add a bit more pretend fun; serve up some bones with your coffee. Make your way over to Food Mayhem to learn this edible bone making magic spell, or skill. The possibilities are endless for what you can frame on your walls with this wallpaper aptly named “Frames”. Go right ahead, put a photo, drawing, hang your blue ribbons, paste on a little bling or use your creative skills and attempt to paint something in one of the frames. It’s simply up to you! You’ll love how interactive it is. “Frames” by Taylor & Wood for Graham & Brown is only $50 per roll, so you’ll still have some cash left over for markers and paints. What do you think? You’re Framed? Take 40% OFF our Live Butterfly Garden. Sale Ends at Midnight September 29th or when sold out! before your eyes with our Oppenheim Best Toy Award-winning butterfly raising kit. Raise 3 to 5 Painted Lady butterflies while learning all about metamorphosis. See the caterpillars’ transition as they mature, change into chrysalides, and finally emerge as Painted Lady butterflies! The butterflies’ development takes approximately three weeks, and they’re absolutely safe to release into the environment. Includes colorful pop-up habitat suitable for hanging or free-standing on a countertop, special food, feeding kit and complete instructions. Ages 4 years plus. Pack some butterfly treats in a school lunch. What a nice surprise that would be! Leave it to Kreative Kellie to come up with such a clever idea. Two days ago we said good bye to summer as we celebrated the autumnal equinox. Today with the unusually high temperatures around the country some of us gladly welcome back summer. Watermelon is a great way to hydrate and you can’t let the return of summer pass you by without dazzling (or frightening) the family with this shark. Rachael over at Sun Scholars shows you how to make this amazing Watermelon Shark. I always like making this for my brother who didn’t take bath for months after seeing the movie Jaws. Lucky for him we had a shower. Tip # 1: Either mostly or completely cut out soda from your child’s diet. There is no nutritional value in it, and all it does is dehydrate their body even more than it already is. If your child is going to miss the soda, try giving them water with some fruit slices that will naturally add some flavor and sweetness. Tip #2: Provide your children with snacks that will not only fill them up, but hydrate them. For example, cucumbers are almost completely made up of water, which makes them a light, refreshing snack. Other good choices are watermelon, citrus fruits, grape tomatoes, and colorful bell peppers. If your child gets turned off by the veggies, try cutting them into fun shapes or providing a healthy dip like yogurt or hummus, which also gives them a protein punch. Tip #3: This one helps when you have kids who are too “busy” playing to stop to munch a snack, is to make it fun. My daughter almost always comes running when I make fruit caterpillars for her. All you need are toothpicks and fruit (just be careful if you give these to small children). 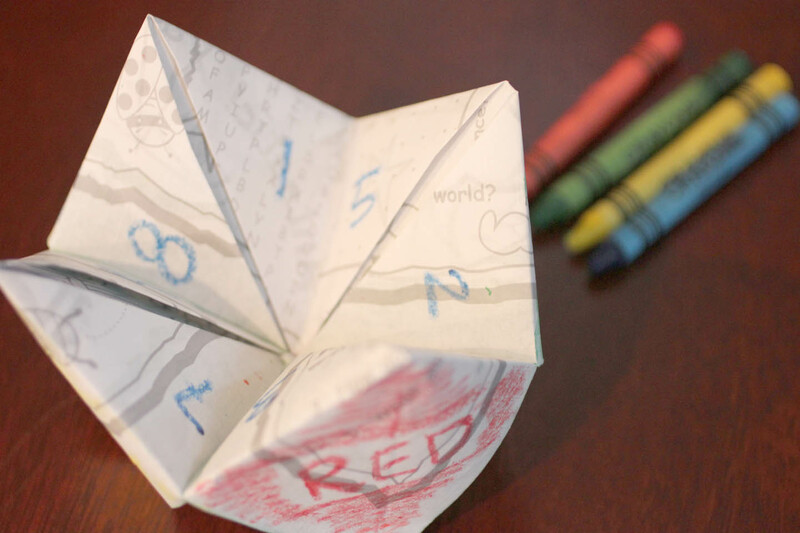 Kids can even help make these, which can be a fun learning activity as well. Your child can make patterns with the fruit alternating grapes, blueberries, strawberries, or kiwi pieces. You can also make veggie caterpillars, which when you add some small pieces of cheese, adds some protein as well. The munching possibilities are endless! Tip #4: Here’s a simple one, if you know you’re heading outside to be in the sun, try to get your kids to drink some extra liquids before you leave, so you won’t have to worry quite as much once you get to your sunny destination. Tip #5: When your kids have their hydrating snacks and drinks, make sure you join them! It’s just as important that mommies take care of themselves as well. You set the example for your kids, so if they see you taking care of yourself, chances are they’ll follow! Want to know when a Watermelon is ripe? The Melon Meter claims to help you choose a ripe watermelon using the microphone on your iPhone! BEEP BEEP – you can sleep in a jeep and one safari ready at that! Make the transition to a big boy or big girl an adventure with our Zebra Striped Jeep. 1. Big-kid bed hoopla: Some children enjoy having an official Big Kid Day party. Set up the bed, decorate the room and add a few sleep-related gifts, such as books and stuffed animals. 2. One-step-at-a-time: Take the mattress out of the crib and place it on the floor in the same location. This gives your child the same sleeping surface and the same view of the room that he has grown accustomed to. Place guard rails around the sides to create a crib-like enclosure. Keep the same bedding and crib toys. This is a mid-step between the crib and a real bed. 3. The gradual introduction: Set up the new bed in the same room as the crib. Allow your child to play on the bed and nap there. Do your bedtime reading in the new bed, but allow him to have nighttime sleeps in the crib. This will help your child get used to the bed gradually. 4. Patience and encouragement: No matter which path you choose, be patient. Big steps toward growth often happen in spurts and your child may be excited to welcome the change one day, but wary of it the next. Maintain your nightly bedtime routine and help your child develop a positive association with his new bed, since he’ll be sleeping there for many years to come. Yarrr, that be right: today Tuesday, September 19th is Talk Like a Pirate Day 2017, a celebration of all things pirate. Avast, all you young little Scallywags sleep like pirate! Now, if you wish to brush up on your pirate speak, try this useful English to Pirate translator. Also offered is some advanced lingo once you’ve mastered the basics. like beyond “Aarr!”. 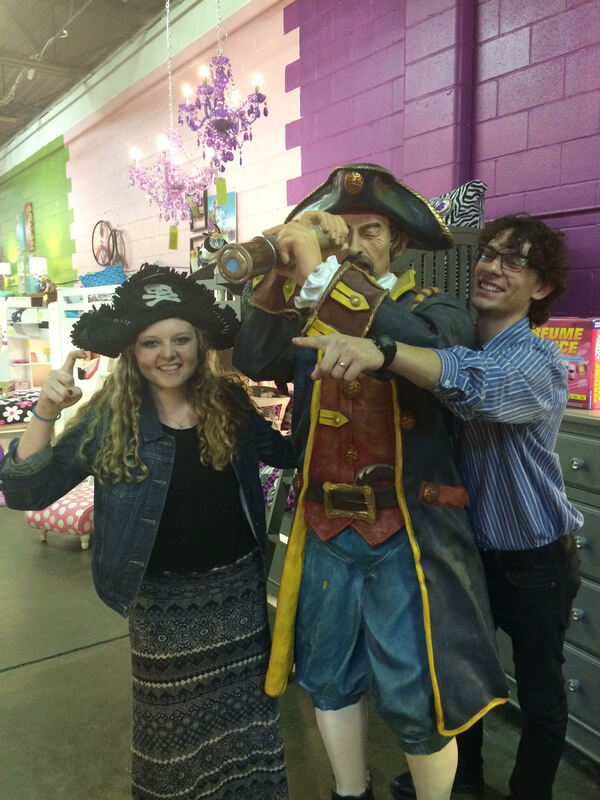 Dress like a pirate all year long. Here is our all time most favorite seasonal decoration! 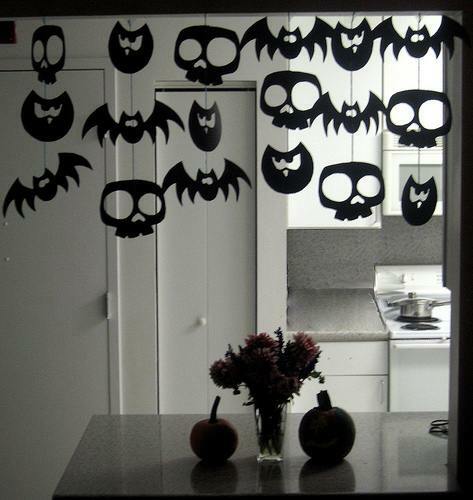 This DIY Halloween Garland idea may become your favorite too. So, go ahead and “cut that out”. Every year these Spooky Spider Deviled Eggs are always a huge hit. You might want to try making them with the kiddos for a fun cook together time. Try laying (out) special spider eggs to creep out some of your friends. Before we had kids, my husband and I would eat out all the time and enjoyed our time together discovering new foods and restaurants. Now that we have two little boys, eating out isn’t so easy or enjoyable. We are now mostly limited to kid-friendly dining and even at the most kid-friendly restaurants, we are susceptible to melt downs, whining, crying, and restlessness among other things. 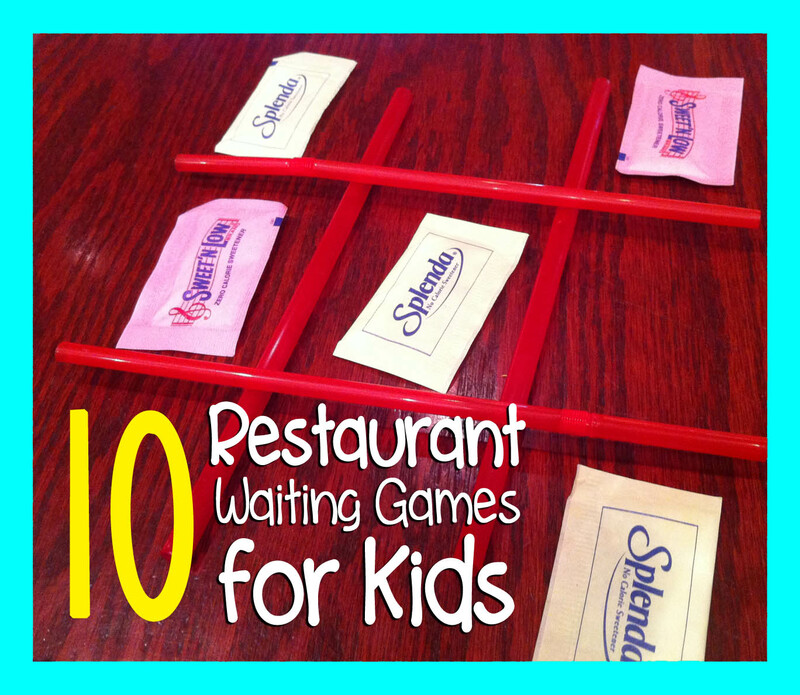 So I made a list of restaurant table games to play while waiting for your meal, or even during meal time when the kids are done eating but the adults aren’t. 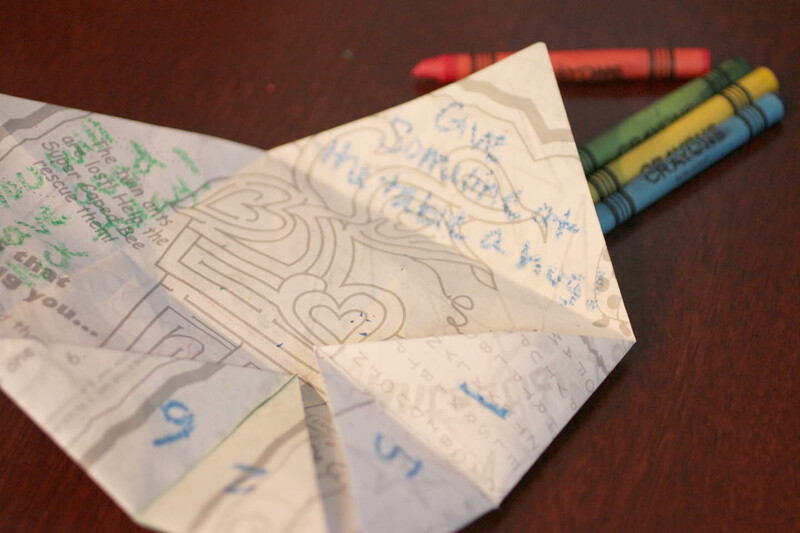 These fun little games can be played using items found at your table and have really helped us keep the kids busy and calm while dining out. 2. Sugar Packet and Penny Trick. This is a restaurant table version of the old cups and balls magic trick. 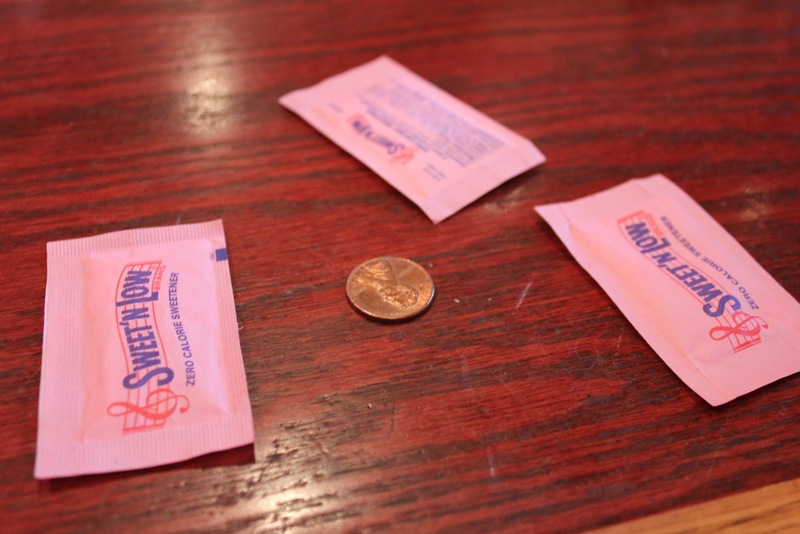 Take three of the same color sugar packet and a penny or small coin. Show you child which packet the coin is under and then quickly mix them up while they are watching. See if they can follow which sugar packet the penny is under and when you are done mixing, ask them where the penny is. 4. 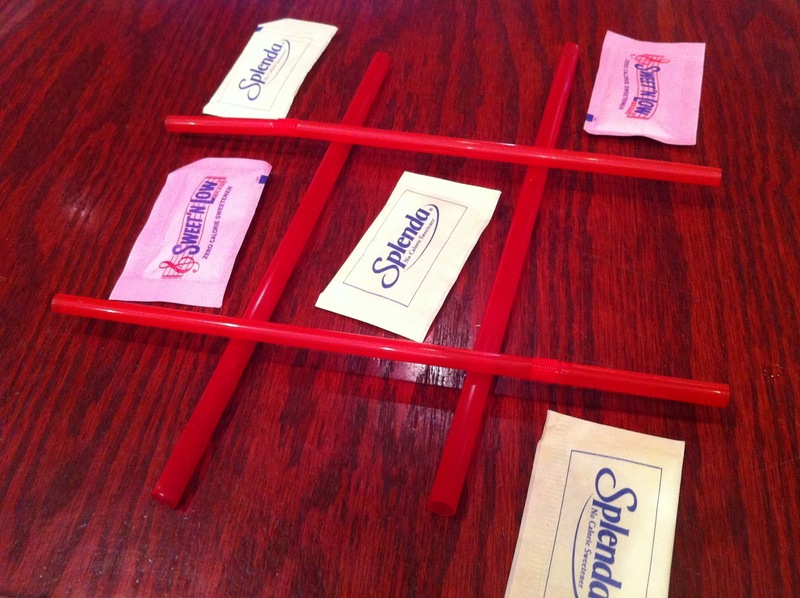 Straw and Sugar Packet Tic Tac Toe. Here is a fun way to play Tic Tac Toe. 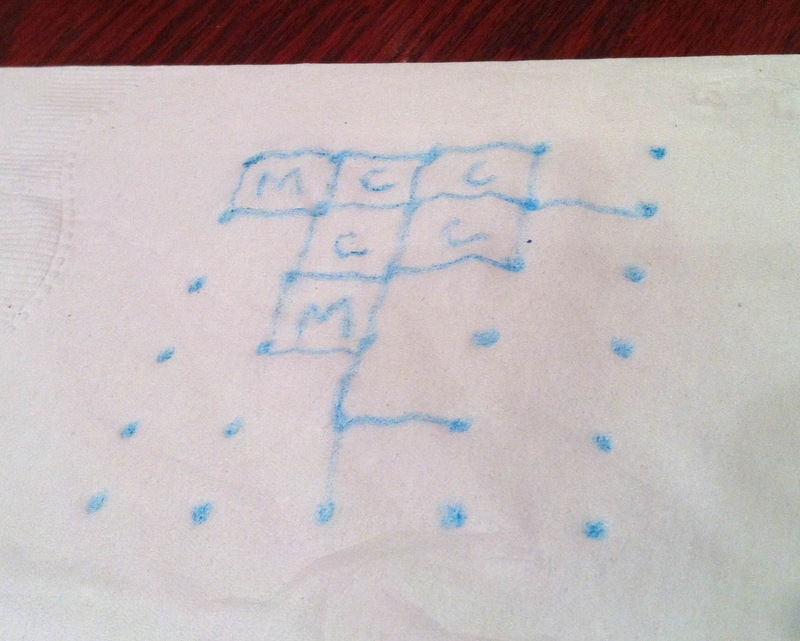 Ask your server for a couple extra straws and use them to make the game board. Use sets of two different color sugar packets as the markers for each team or player. Three in a row wins! 6. I Spy. Choose an object at the table or within view of your table and using the phrase “I spy with my little eye, something ___” Provide a descriptive word about what you see and let your child guess what it is. Then let him/her pick something and you try to guess! 7. Dot Game. This is also called Capture the Squares. The object of the game is to connect dots to get as many squares as possible. Start by drawing a grid of dots and take turns connecting two dots at a time with a vertical or horizontal line. When a person is able to finish a square, put your initial in it. When all dots become squares, count the initialed boxes and whoever has the most wins! 8. ABC Spy. 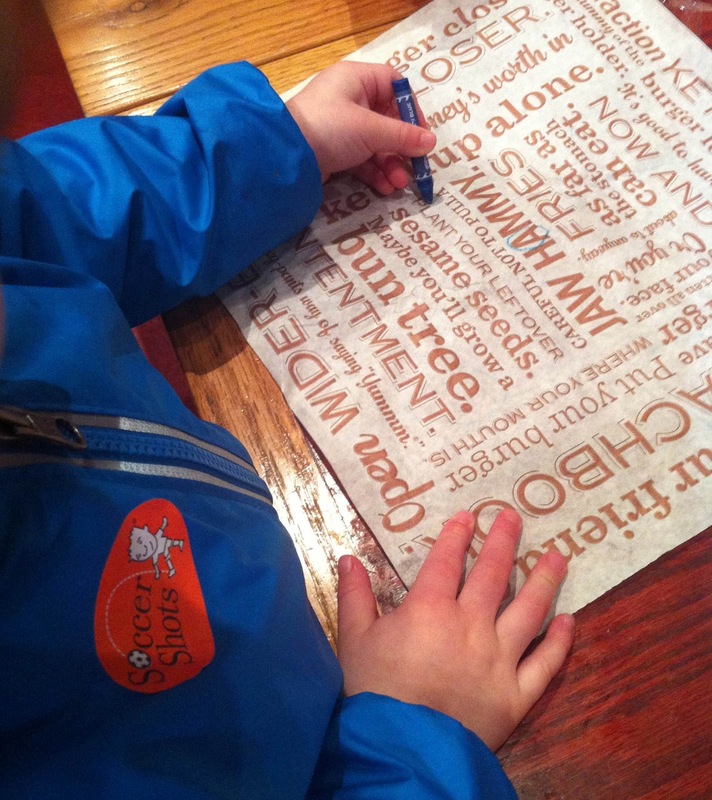 Using the kids menu, or in this case we used the fry basket liner, ask your child to find an “A” and so on. Each time they find the letter, they can circle it. This seems too simple, but believe me, this kept my 3-year-old occupied for a good chunk of time and he really liked searching for each letter I called out. 9. Disappearing Objects. Arrange a group of objects together in the middle of the table. 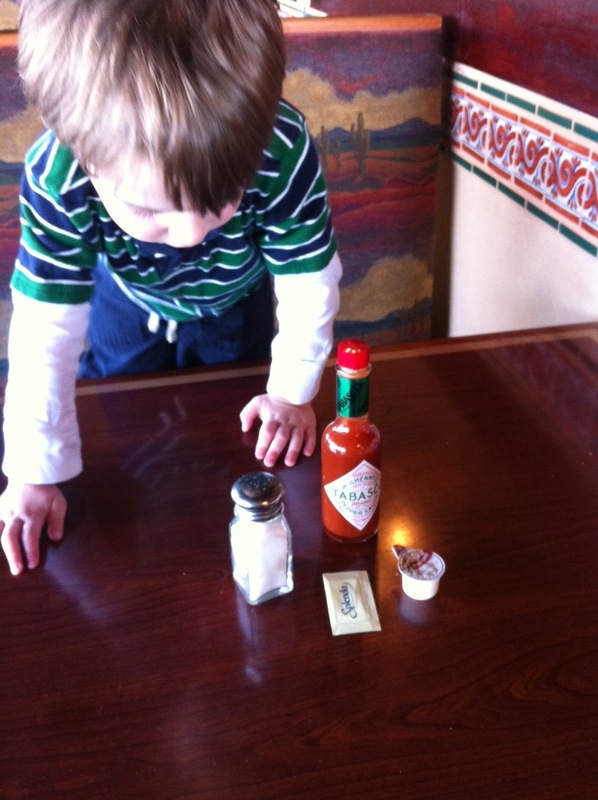 Tell your child to look closely at all the objects on the table then tell him to close his eyes. Take an object away and see if your child can tell you which object is missing. 10. Table Football. There are actual rules to this game (that we don’t follow). We just like to make a paper football and enjoy flicking it around. To make the ball: Start by folding a piece of paper in half longways and fold the corner down into a triangle. Continue to fold down, making triangles until you get to the end of the paper. Tuck whatever excess paper is left on the end into the “pocket” on the top of the ball. The object of the game is the flick the football across the table and if it is hanging over the edge when it comes to a rest, you get a touchdown. We like to hold our hands up into a field goal and try and flick between the posts (aka fingers and thumbs). Thank you Sarah from Repeat Crafter Me for sharing these entertaining ideas. When you wake up today, September 11, be sure to make your bed, Why today you ask, because it is Make Your Bed Day! Smooth out those sheets and comforter. Slow down, take a few deep breaths and plan your day. Think of this morning bed making ritual as getting a little “me time”. Okay, just keep telling yourself it is “me time” and in no time your bed is made. 2. Cleanliness Is Next To Godliness. 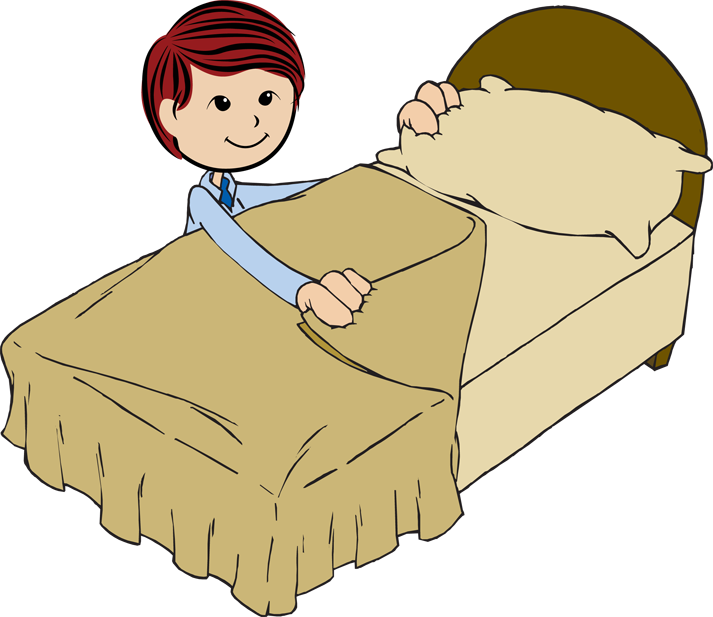 By taking just a few seconds to pull your bedding up over the pillows does a great deal for cleanliness. It will prevent dust from getting under your covers during the day. Plus, who knows what you could find hiding under the bed or on the floor. This discovery could be a big help when it is bedtime; lack of cutter could create a more peaceful slumber. Making your bed which requires so little effort could make a huge impact on your day. You know how good it feels when everything is neat and tidy. Start your day off with success and feeling like a winner. See where that first step will take you throughout your day. Hunch.com surveyed 68,000 people and found that 71 percent of bed makers consider themselves happy while 62 percent of non-bed makers admitted to being unhappy. Bed makers are also more likely to like their jobs, own a home, exercise regularly, and feel well rested, whereas non-bed-makers hate their jobs, rent apartments, avoid the gym, and wake up tired. So why not join the happys? Make your bed! Idea! Possibly a brand new bed could bring a little inspiration. Check out all of the super fantastic bed choices at Totally Kids fun furniture & toys.